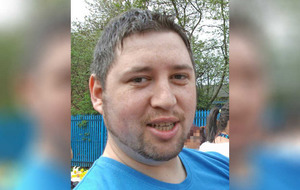 PROMINENT republican Damien 'Dee' Fennell has been arrested by police probing the murder of a taxi driver in a botched 'punishment' attack in north Belfast. Father-of-four Michael McGibbon (33) was shot several times in the leg by dissident republicans in an alleyway at Butler Place on Friday night. His wife Joanne, a nurse, rushed to his aid and tried to stem the bleeding but was unable to save his life. Police said the shooting bore the hallmarks of a paramilitary-style attack that had "robbed a family of a treasured husband and father". It is understood that Fennell (34) was arrested on Sunday afternoon and is being questioned at Musgrave police station. The high profile republican is a spokesman for the Greater Ardoyne Residents Collective which is opposed to Orange parades through the area. 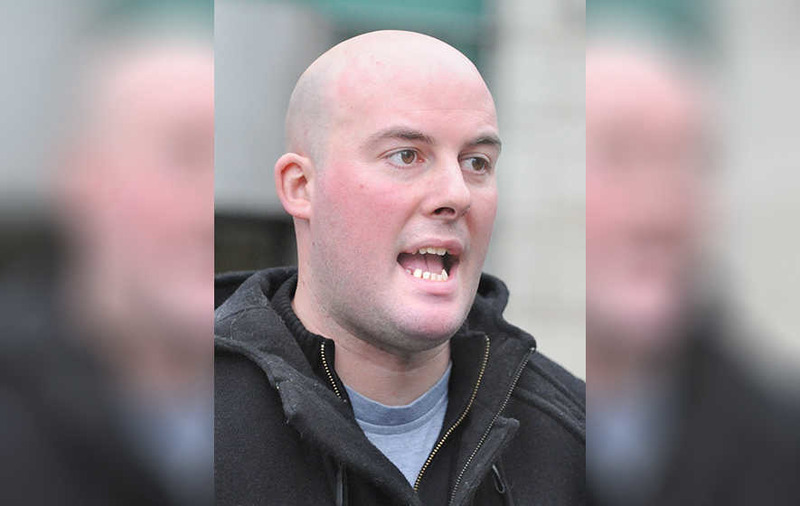 He is currently on bail after appearing in court in March where he denied three charges against him including encouraging support for the IRA. From Torrens Avenue, he is to stand trial on charges arising from a speech he gave last Easter at a graveyard in Lurgan during a 1916 commemoration event. Meanwhile, it has emerged that Mr Michael McGibbon received assurances from dissident republicans that he had nothing to fear hours before he was killed in north Belfast. He died in the Royal Victoria Hospital from injuries sustained after he was shot three times in the legs in an alleyway at Butler Place, on Friday night. Police said that Mr McGibbon was visited by two masked men at his home on Thursday who warned him they "would be back" when he refused to leave the house. He reported the matter to police. It is understood he was approached the following day as he picked up his children from school and told to go to the alleyway. Sources in the area said that, after seeking assurances from republicans about the arrangement, he went along after being told he would not be shot. Mr McGibbon's heartbroken widow Joanne told how she rushed to her husband's aid following the attack. The nurse fought to stem the bleeding but it is thought he was shot through an artery and she was unable to save his life. "When I got to the alleyway he was just lying there with the blood pouring out of him. I tried so hard to save him," she said. "I was trying to stop the blood loss as a main artery was severed and I couldn't do CPR for about 10 or 15 minutes," she told Sunday Life. Mrs McGibbon added: "I was talking to him and I joked with him to try and keep him there and he said my name but we lost him." 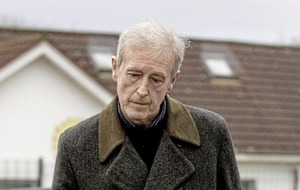 A neighbour told The Irish News that Mr McGibbon was "a quiet man who did his taxiing and looked after his family." Fr Gary Donegan, the rector of Holy Cross Church, told The Irish News that "nothing can justify what happened on Friday night." He said: "If we go down the path of jungle justice where do we draw the line? "We are a proud people in Ardoyne, with a proud heritage, and all these people do is sully that good name." Fr Donegan spoke of the harrowing moments Mr Gibbon's wife Joanne spent tending her husband as he lay dying. "In life there are many people who carry out a caring profession. That is what she was doing. She was the first to respond to her own husband. 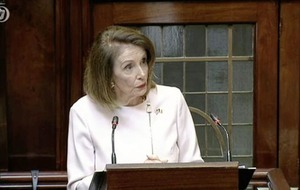 She is a heroine compared to the people who carried out this barbaric attack," said Fr Donegan. Secretary of State Theresa Villiers described the shooting as a "callous and shocking murder" while Sinn Féin's Gerry Kelly said: "I unreservedly condemn the murder. This is the second such killing carried out in this area in the last six months by an armed gang which is clearly at war with the local community." The SDLP's Nichola Mallon added: "North Belfast has shouldered this kind of savagery in the past. There can be no justification for it. It was wrong then and it is wrong today." Nuala McAllister, Alliance Party councillor for North Belfast, said: "Our entire community must unite against those who seek to drag us back to the bloody days of the past." Mr McGibbon's murder had been referred to the Police Ombudsman for Northern Ireland. Detective Superintendent John McVea said: "He was a man with no criminal record, no apparent criminal connections or associations and today we are talking about his murder. There is no rationalising that. "I am also aware that other people in the area may also have been visited in a similar manner in recent days and I am asking for these people to make contact with police."